Service Management Journey: CMDB - Should I or Shouldn’t I? CMDB - Should I or Shouldn’t I? A comment that I received in a recent post was why I didn’t write more about the CMDB, or configuration management database. The trouble is more often than not the reason that this even comes up is that through a tool implementation there is a component of service or infrastructure which is mapped against CI’s (Configuration Items) and this needs to be addressed in one way or another. If I could offer some suggestions I would take it back it the beginning and look at the scope of what we are going to manage in our CMDB. No two organizations are going to look at this the same so I won’t tell you that there is a silver bullet on this one. In some cases you might want to look at your critical services at the beginning. Whatever you choose remember that keeping it simple will allow you to successfully manage this in the beginning which will produce some check in the ‘win’ column. If you attempt to boil the ocean it will likely work in your favor. With a scope established you should be able to tie this in with your change management process. Keep in mind that like your change process there are activities in configuration management that need to be managed by people to a certain degree. Have some way to regularly review the CI’s for accuracy. This will not only allow you to see where they may be issues in the configuration management process but also if the inputs and output to this are also having challenges. I can already hear you. “our tool does this automatically, so we don’t have to worry” while to a degree this may be true, trouble more often enough is that the tool will automate what we tell it to do and if we don’t fully understand what it is meant to do in the first place (process and people) we wont tell it the right actions to take. Which is why performing regular audits of your data is important to continually improve. To summarize, think with the end in mind. 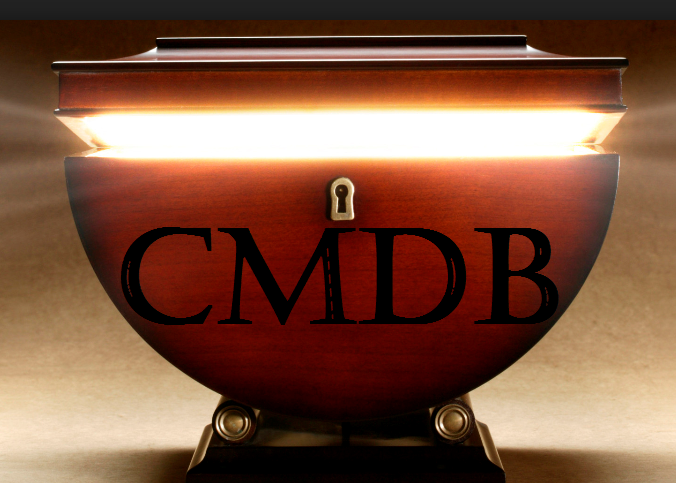 Decide what you want to get out of the CMBD in the initial stages. Keep the scope small and don’t let the scope creep. Ensure that this process is tied into other service management processes so that where it applies the usage and value can be recognized acrros various areas within IT. Lastly, report on the success that you get as well as noting the issues and making corrections. While a CMDB can be a daunting task, being pragmatic with how you look at this will ensure that you can achieve your goals.